Our child care solution for kindergarten wrap around programs and after school emphasizes fun and adventure in a safe environment. 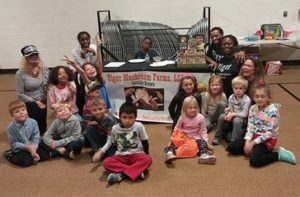 With the addition of transportation, programs with educational purposes, collaboration with local parks & recreation centers, and helping kids with homework, Kindergarten Wrap Around Care is filling the need of the modern day working parent or single parent. Our aim is to give you more quality time and less stress after 6 pm with your family. We cater to both a.m. and p.m. Kindergarten classes and 1-5 grades in all Upper Arlington elementary schools through licensed, convenient transportation. Your child’s time with us will involve activities to nourish young development and educational opportunities. Adventure time may include field trips, library visits, arts and crafts, museums, swim lessons and more! We are open to specific and custom needs of your child. Just let us know. We are a full service summer day camp with weekly and drop-in options for all of Columbus and the surrounding area. 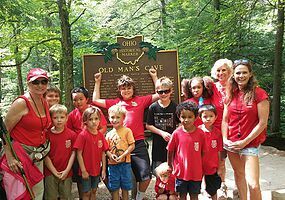 Our mission is to inspire and empower children through creative educational care by doing ‘adventures’ in and around Ohio. We are unplugged from electronics! Our summer adventure camp will let your child discover more of the great outdoors in the company of exceptional leaders. Explorers will learn valuable wilderness skills and develop essential life skills. This will help develop self-esteem, promote teamwork, friendship, and a sense of community and belonging. Our adventures include, swim lessons, horseback riding, ziplining, guided nature hikes, arts and crafts, flying trapeze, canoeing, Perry’s Cave and much more! Stay tuned for the complete camp schedule! Sign up for our email today to stay in the Explorer loop!